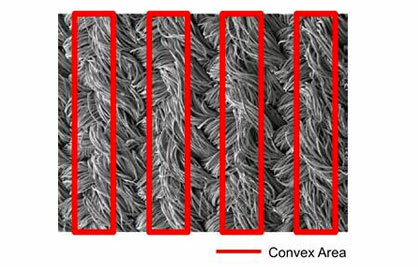 Teijin Frontier Co., Ltd., the Teijin Group’s fiber and products converting company, announced today that it has developed a new highly water-repellent fabric incorporating enhanced elastic properties. It plans to market the new product from the beginning of the 2019 spring/summer season. The new fabric is designed primarily for trousers and outer-clothing applications requiring medium thickness materials. Teijin Frontier is targeting annual sales of JPY one billion (USD nine million) by the fiscal year ending March 2021. The fabric achieves a grade four out of five in water-repellent rating initially, and a grade three rating after being washed 20 times. It is able to stretch by 10%, and maintains water-repellency when stretched thanks to its flexible structure; conventional water-repellent fabrics are unable to achieve similar levels of stretchablility because of the high density of their yarn arrays.